Private land parking problems? You’re not alone. A new law in 2012 banned drivers being clamped on private land. But that doesn’t appear to have stopped over-zealous private companies issuing fines to anyone who flouts frequently unclear signs. The extent of the problem was recently revealed when a parking enforcement company was punished by its trade body for penalising drivers after doctoring CCTV footage to show they were parked longer than they actually were. Private land parking problems: What is the legal position? When you park on private land you’re actually entering into a contract with the land owner. If you don’t pay, or outstay the time you have paid for, although the threatening letter might look like a fine, it’s actually an invoice. This is for breaching the contract you entered into when you parked on their land. Private land parking problems: How are rules enforced? 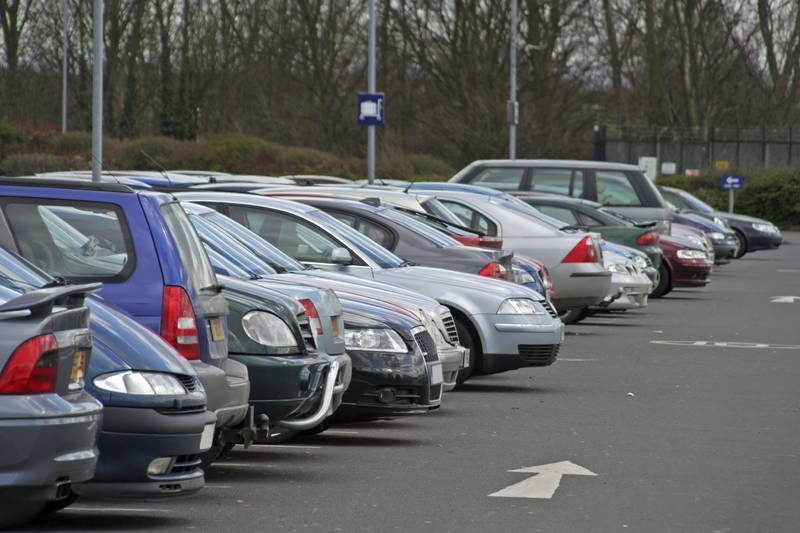 Although you may not think it, when you park at a hospital, train station, supermarket, motorway services or retail park, you’re parking on private land. There should be signs on display telling you as much and laying out the terms and conditions. You may also notice CCTV cameras. These use Automatic Number Plate Recognition (ANPR) technology to effectively clock you in and clock you out. These are for car parks that frequently aren’t pay and display, but that have a maximum time limit, such as motorway service areas. If signs aren’t clear or aren’t on display at all, you may be unaware that you could get a ‘fine’ through the post. Private land parking problems: How to complain? The majority of parking enforcement companies will belong to a trade body. This enables them to get drivers’ data easily from the DVLA so they can send out their ‘penalties’. There are two trade bodies for parking enforcement companies: the British Parking Association (BPA) and the Independent Parking Committee (IPC). If you think you’ve been penalised unfairly, find out which of these the parking enforcement company belongs to and appeal to them. Although the trade bodies are paid for by the companies that belong to them, they claim their arbitration service is impartial. Private land parking problems: Is it worth complaining? The appeals services have had 49 per cent of private land parking appeals upheld so effectively one in every two appeals is successful. Citizens Advice says in October 2015 the number of people seeking online guidance for parking problems has tripled in the past year from 16,500 to 50,000. The number of people viewing its online advice page for what to do if you’ve received a ticket has nearly doubled over the past 12 months. Appealnow.com which helps drivers with parking problems says its page on private land parking is the second most viewed on the website. In the next few weeks there could be a change in the regulations governing parking on private land. This is thanks to Essex chip shop owner Barry Beavis whose case is being heard by the Supreme Court, the country’s most influential court. Beavis received an £85 penalty which he is claiming is disproportionately high for overstaying his time limit by 56 minutes. If the Supreme Court upholds his claim, the repercussions could limit the amount companies can charge for parking beyond the maximum time on private land.